The way I see it, you have several choices. You can be angry and vengeful (which I don’t recommend), you can be depressed and isolate (also not a good idea), or you can mourn the loss in a healthy way, and choose to become whomever you please. The angry/vengeful response does a few things: it chews up your assets; it makes you unpleasant to be around; it creates stress which will negatively affect your immune system, and ultimately make you sick. Depressed, isolate. Well, at first, you may be sad, depressed, not want to be around others. This will also impact your immune system, make you unhealthy mentally and physically. Neither of these options serves any purpose – for you. Sudden break-ups come with the “shock” and disbelief and your heart demands you find out complete details as to “why.” Don’t give in to it. Usually knowing the details causes more pain, hurt, resentment – heavy burdens for you to carry, indeed. Maybe you found something unexpected and you are the one asking to end the relationship – again, will it help you to know all of the details, to create that mental image in your head, to take up space and drain you of energy. Absolutely not. Working through your pain, worry, fear, anxiety, sadness, and becoming the fully-functioning, motivated, determined person you can be is what matters, is what helps. This is your jumping off point to change. It’s up to you if you want that change to be positive or negative. I think you choose positive, am I right? But, your first step must be SELF CARE. It is THE most important thing to do for yourself, for your family, and for your mental and physical health. Everyone needs self-care, and no, it isn’t selfish [you’re not caring for yourself because you don’t care about anyone else after all]. You’ve heard the saying, if you can’t take care of yourself, you can’t take care of anything (including the things that are important to you such as maybe your kids). Take some time for you every day. Ten, 15, 20 minutes…Meditate, walk, listen to music, take a yoga class! Keep a gratitude journal. There is research that claims writing a gratitude journal will take the focus off the negative, and gets you thinking about what the good. Good in you, good in your world, good in your family, and so on. It can change brain chemistry, and like so many other simple things can actually improve your outlook. Keep it simple, make the list long or short, doesn’t matter, just make it. It doesn’t have to be earth-shaking, it can be as common as walking into a bakery and inhaling the wonderful smells, or a call from a friend or family member. Gratitude takes many forms, if we just pay a little attention, we’re always surprised how much good there is in our lives. And smile. Yes, I said smile. Now don’t click off this blog, Why would I ask you to smile when you’re so stressed, so angry, so worried, scared? Because the physical act of smiling does actually trigger endorphins, serotonin, and other neurotransmitters in the brain, creates messaging to the brain to elevate the mood. Smile, your brain is waiting to feel better! Another important thing to do for yourself is to make sure you make a plan to do at least one enjoyable thing each weekend. Do NOT stay at home and isolate. Nowhere to go? Nonsense! Check out different social websites, such as Meetup.com. There are a thousand activities (some you’ve never thought of I’m sure) with people just like you – alone and looking for something to do. Get a manicure, a pedicure, take a drive to the beach or the mountains. But get out there and do something fun! I guarantee you’ll feel a lot better! Exercise. I know, I know. We’re all so busy, who has time? Check out some of the new apps on your smartphone. There are hundreds that offer exercises using your own body weight, that you can do while you watch TV or listen to music. Cardio is important, so please try to make some time to take a walk – even for 10 minutes a few times each week. Again, exercise releases the good hormones and neurotransmitters, helps with focus and concentration, relieves tension, and elevates moods — I promise! Eat healthily, limit fatty or sugary foods. Limit alcohol. When we’re stressed we want things that will make us feel better. Sugar, alcohol, fried foods – the pleasure is short-lived. When your blood sugar drops, you become tired, maybe a bit irritable. That 5 seconds of pleasure produces hours of low energy and possibly nausea. If you have younger children at home, make sure they stay active as well. Have their friends over, play sports, go to a movie. But remember, your children are not your confidant(s). They don’t need to know all that is happening in your divorce – it makes them feel unsafe, worried, scared. Boundaries are so very important at this time, no matter how angry or frustrating your kids’ father/mother may be. 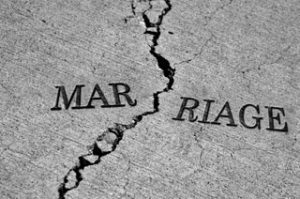 Having a trained divorce coach help you through this time can help relieve stress, worries, and concerns. A coach can help you stay grounded, minimize the time you speak with the lawyer, and help you to follow through, avoid roadblocks and be there for you when you need support. Many divorce coaches can help before, during AND after the divorce, depending on your needs. Post-divorce, the coach can assist with setting new goals, and support you while you build your new life. If you can’t seem to shake the sadness, the stress, and maybe need a different type of support, seeing a therapist can be the best thing you ever do for yourself – it is a sign of health to ask for help, and I know you are a healthy minded person. A therapist that will work with you on building your strengths, finding solutions, and helping you learn to manage your day-to-day challenges will help you work through all of the painful feelings that may be overwhelming you. NOTE: There are many types of gratitude journals in bookstores, on Amazon, in Staples, etc. Find one that suits you. I find when first starting, the simpler the better! There are many out there, half the fun is finding the one that speaks to you! **I found this little jewel at Staples (believe it or not). I’ve also seen it on Amazon.